Our American Flag Cases are Made out of top quality Cherry wood. 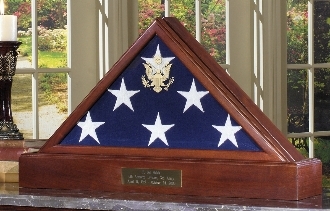 the American Flag Cases are a great Combination is a beautiful way to memorialize your loved one who served the Armed Forces. 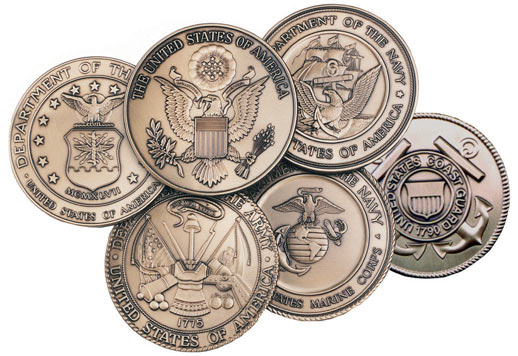 The American Flag Cases and Pedestal features solid American Cherry with our heirloom walnut finish, beveled glass with gold Great Seal of the usa - Or any other emblom ( see list of options below ) . the American flag casess have a finished wood back panel. The pedestal is Solid walnut with matching finish rich cherry look ! Orders for the American Flag Cases are usually shipped out within one business day to places within the USA and Canada. American Flag Frames are the best way to display more than one flag.